A beautiful hike with a combination of strenuous climbs and flat trails. 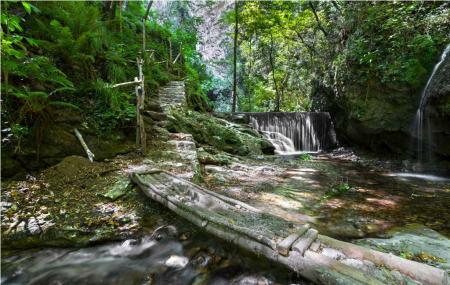 Over the course of your trail, you will come across forest, cliffs, old houses and waterfalls. Waterfalls are perfect place to have that picnic lunch you are carrying. Although Valle delleFerriere and Valle deiMulini are in the same valley, the hike trails are completely different and is a must do while at Amalfi! Wear comfortable shoes and carry water along. A lunch amid forest is a perfect picnic idea , don’t forget to carry your picnic basket. Do remember to carry along your camera , capture breath-taking views for lifetime memories. Can be easily reached on foot. Might take approximately an hour. Alternatively, hop onto SITA bus and ask the driver to drop you at the nearest bus stop. If you can ride a bike, then that will be the best option. How popular is Valle Delle Ferriere? People normally club together Path Of The Gods and Grotta Di Fornillo while planning their visit to Valle Delle Ferriere.